In the latest WWE rumors being reported from PWInsider, among other sources, the Andre the Giant Memorial Battle Royal winner is expected to get a big boost this year. The annual match will take place once again for WrestleMania 34 in New Orleans, Louisiana, in several months, with one superstar claiming the big win. Previous winners have either been longtime legends of the ring or have gone on to achieve championships since their victories. This year’s winner may have even more momentum on their side because of the timing of the latest match. As reported by Wrestling Inc., the latest installment of the Andre the Giant Memorial Battle Royal is rumored to be getting a big push this year, according to the PWInsider website. The reason for the increased push this year is due to the fact that the Andre the Giant sports documentary is set to show on HBO the Tuesday after WrestleMania 34. The new documentary on Andre, which is being produced by Bill Simmons and HBO Sports, could lead to further projects involving Simmons and the WWE. Due to that, expect WWE to put more spotlight and attention on the annual match which has been taking place since the first edition was unveiled in 2014. The original winner of the first Andre the Giant Memorial Battle Royal was Cesaro at WrestleMania 30. The “Swiss Superman” has since gone on to capturing multiple tag team championships reigns as part of “The Bar” with partner Sheamus. At WrestleMania 31, the future WWE Hall of Famer The Big Show won the trophy, followed by “The Lone Wolf” Baron Corbin in 2015. Corbin went on to capture the Money in the Bank briefcase which he unsuccessfully tried to cash in on Jinder Mahal but later became United States Championship for the first time in his career. 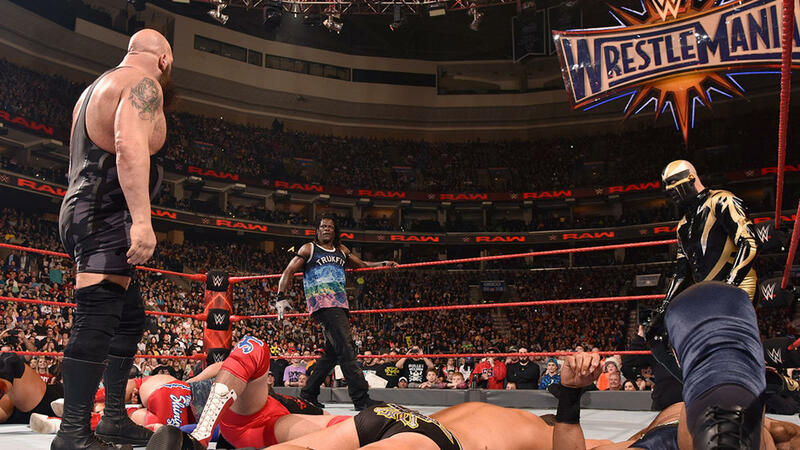 At WrestleMania 33, Mojo Rawley captured the win with a bit of help from his NFL friend Rob Gronkowski of the New England Patriots. Gronk recently suffered the consequences of getting involved in the match, according to “The Modern Day Maharaja” Jinder Mahal. Since the win, Mojo Rawley hasn’t captured any championships on the main roster yet, but after his recent heel turn against former tag team partner Zack Ryder, he may be on his way towards some solo success. It should be interesting to see which superstar WWE decides to go with as the winner at the latest battle royal. Some of the early favorites might include Samoa Joe or Big Cass, both of whom have been sidelined with injuries for varying lengths of time. There’s no official word on Cass returning for Mania, but anything is possible with WWE’s surprises. WrestleMania 34 takes place on Sunday, April 8 in New Orleans.